Permanent quality-of-life changes and temporary gameplay changes are heading to the Howling Abyss. The Maps and Modes team has spent most of its time exploring new gameplay with modes like Star Guardian: Invasion and bringing back old favorites like One for All, but that means we haven’t given ARAM as much attention as we should have. We’re excited to change that in 8.11, and hopefully bring some additional freshness and polish to the Howling Abyss in the process. We recognize that ARAM is already a well-established mode with a widespread and dedicated following, and we want to make sure that the changes we make are ones the ARAM community will welcome. To that end, we’ll be adding a handful of quality-of-life features which should smooth out some experiences in Champion Select and at the beginning of the game. 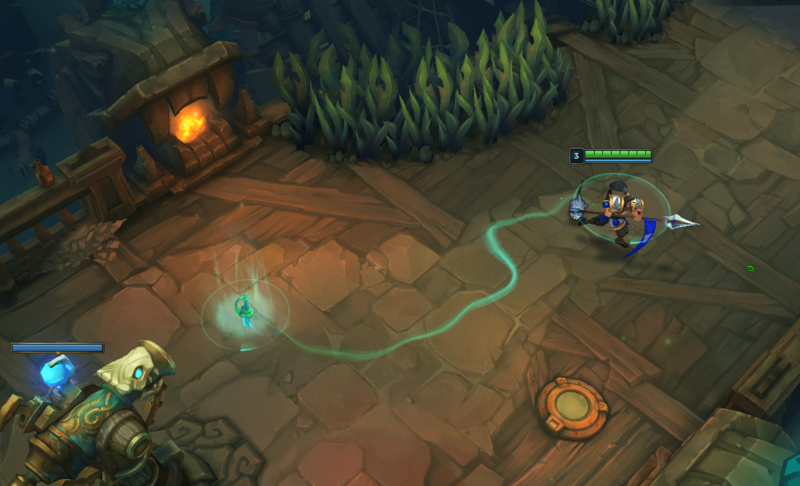 These features are intended to resolve some pain points we’ve seen crop up around ARAM, and as such, the plan is to keep them around for good. We’ve also got some big gameplay changes heading your way while the Bilgewater Event is running. These changes will help us test ways to make ARAM better, and help us to gauge how open the ARAM community is to changes to the mode. Although they’re temporary, the gameplay changes that are well-received may return to stay in a future patch. 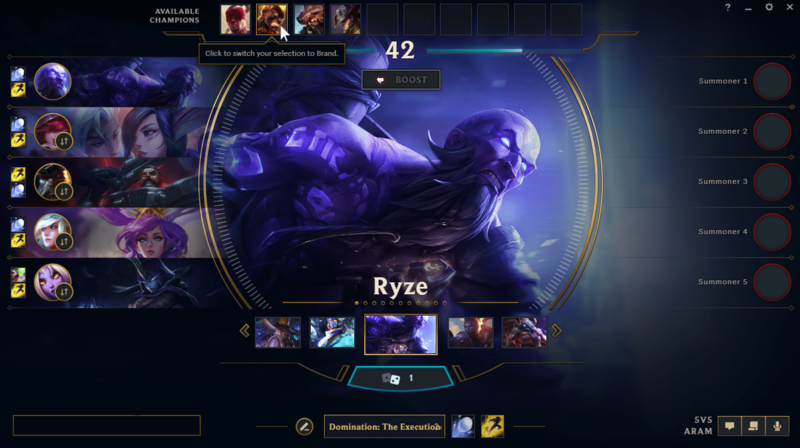 Ever watched someone reroll your favorite champion with a trade request pending? What about rerolling one champion, only to end up with something worse? Tired of having to type “rr” in chat and sit back and wait, just in case someone wants to play Bard? 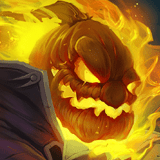 Starting in 8.11, whenever you reroll a champion, that champion is sent to the Available Champions Pool (or as we like to call it, the Bench), where your teammates (or you) can freely trade for it. Our hope is that this will smooth out “Champion Select” and ensure that spending a reroll won’t make your team composition worse. And speaking of rerolls, we’re slightly increasing the rate at which you earn them. If you have no champions unlocked, you’ll earn a reroll about once every 2 games, increasing based on the number of champions owned. If you own every champion, you’ll earn one reroll each game, up to a max of two. At the same time, we’re widening the Free to Play pool in ARAM. We’re mainly doing this to make sure the mode stays true to its random nature and to limit the impact of ARAM-only accounts. The new ARAM Free to Play pool will consist of Summoner’s Rift’s last three Free to Play pools, which means it’ll usually contain 42 champions. Also, to celebrate Bilgewater and the launch of League’s newest champion, Pyke will be in the ARAM Free to Play pool for the duration of the upcoming event! We’re making some improvements to Champion Mastery on ARAM. Mastery scoring was designed primarily for Summoner’s Rift, and the algorithm it uses to calculate a score on ARAM underestimates mastery by quite a bit. As a result, it’s been pretty tough to get an S on ARAM. We’re adjusting this formula in 8.11, so the performance required to get an S will be more consistent with Summoner’s Rift. 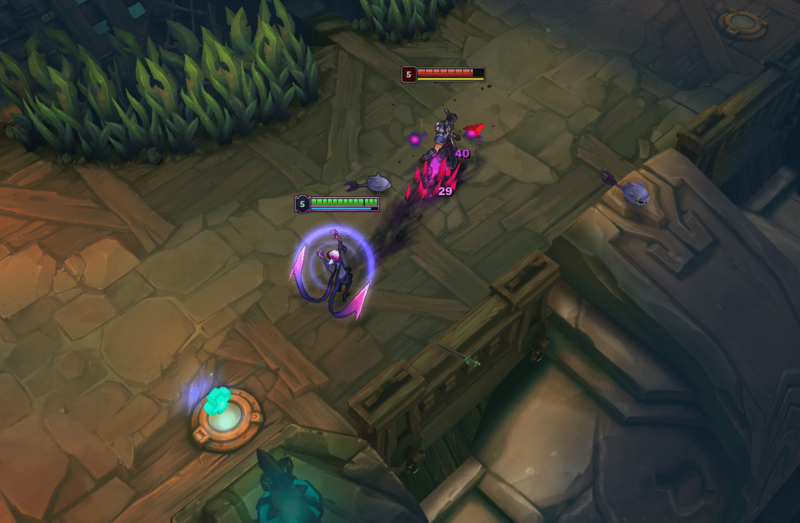 There are now Base Gates at the beginning of the game, like there are on Summoner’s Rift, to give players a fair start regardless of how quickly they can finish loading or buying their first items. Like SR, these gates will go down 15 seconds into the game. 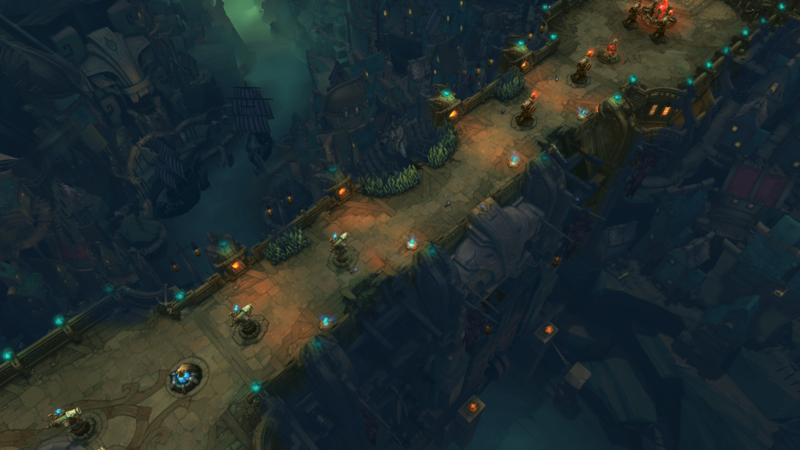 You’ll now begin ARAM games with 662 experience, which is the normal amount for Level 3, instead of no experience. This means that it won’t take nearly as long to go from Level 3 to Level 4 on ARAM in the future. We’ve also changed the surrender time to 8 minutes for a unanimous early surrender vote and 12 minutes for a normal surrender vote, which is partially to make getting out of a game with a disconnected player faster. We considered enabling Remake for ARAM, but it’s likely that enabling Remake would lead to more early-disconnects and AFKs, resulting in an experience that’s worse for everybody. Let’s move on to the event-only gameplay changes. There are a bunch of things we want to try, both to give the mode a unique feel during Curse of the Drowned and to get a sense of what gameplay changes would be healthy in the long term. Right now, all of the changes we’re about to talk about are event-only, but the things that are well-received may find their way back to the Howling Abyss permanently. We take a pretty light-touch approach to balance in ARAM, but Dark Harvest has overperformed so strongly and so consistently (despite a small previous nerf) that it’s very nearly a must-take rune, and that makes the whole process of rune selection less interesting. During Bilgewater, we’ll be reducing Soul Essence from champion takedowns from 5 to 4, and Soul Essence from cannon minion kills from 4 to 2. And while we’re on the topic of “must-take,” let’s talk about Warmog’s Armor. In a way, Warmog’s breaks a core rule of ARAM by letting you heal back up to full health in a short period of time by avoiding combat. That makes it quite strong—so strong that we’ve seen it be built on just about every champion, even after the max-health requirement was raised. 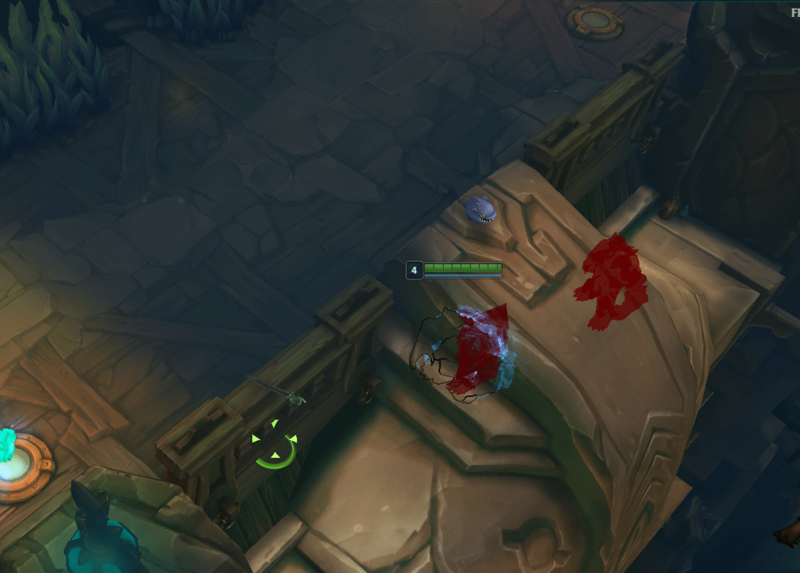 As a result, we’re removing Warmog’s Armor from ARAM for the duration of the event. 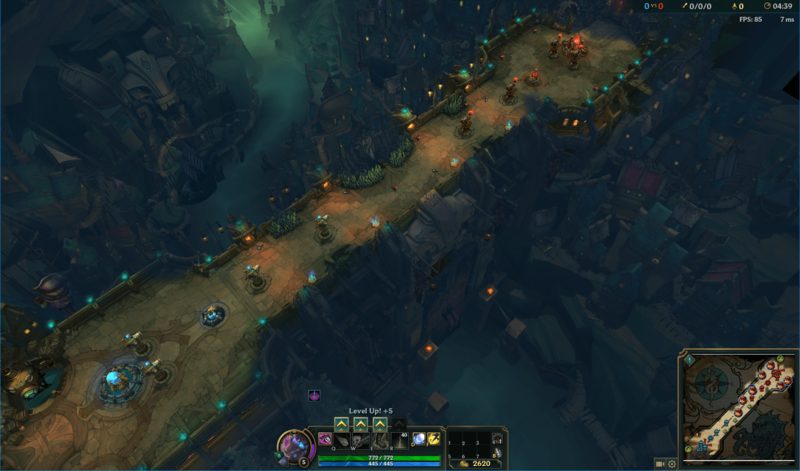 Ultimately, we’re making both of these changes to test whether they make ARAM healthier and more enjoyable. Be sure to let us know what you think! We’ll be introducing three new items to ARAM while the Bilgewater event is going on. All three are intended to give melee attackers and short range mages (especially Assassins) some more gameplay options. These are the champions that tend to struggle in ARAM, and we’re hoping that giving them some extra tools will help even out the battlefield. A pair of boots that only melee champions can buy which let you walk through walls (and on air!). We stole them from Kayn. An AD/Lethality item that, when activated, marks the ground beneath its bearer. A short time later, that bearer is automatically returned to the mark. A close cousin of Banshee’s Veil, this AP/Magic Penetration item shields its owner when they do damage with an ability. These items will appear on the Recommended Items pages for all champions during the event, so go ahead and try them to get in, get out, and live to tell the tale. In addition to restoring a little bit of health and mana, health relics will now cast a huge Redemption-like heal. But be careful—the healing affects both teams equally, which means you’ll have to defend the perimeter to stop your opponents from nabbing some of that sweet HP for themselves! We have two goals with these changes. We want to let you share the health with your team, and we want to create some interesting gameplay around health relics. We fully expect some massive teamfights to break out when both teams try to sneak into the same ring. In addition, we’ve changed how much health and mana the relics give. They used to give a flat amount per level (about 20), but now they restore a percentage of your missing health and mana, meaning they’re far more effective if you’re very low on either. This is quite a large buff overall, so we increased the respawn time from 60 seconds to 90 seconds per relic. And to help you keep better track of health packs, we’re now displaying their respawn times in the Jungle Timer area above the scoreboard. Butcher’s Bridge is several years old now, and we first made it without the benefits of our new map pipelines and tools. We decided to overhaul both Butcher’s Bridge and the Howling Abyss, bringing them into the environment tech we first used on Project: Overcharge last year. The upgraded map uses our new lighting system, supports relative team colors, and is significantly easier to maintain. We hope you enjoy trying out these changes as much as we enjoyed working on them. We’ll be listening for your feedback, so please let us know what you think. In particular, we want to know if you’d like to see any of the temporary changes come to ARAM full-time. Thanks for taking the time to read, and we’ll catch you out on the Bridge! Popcorner is a designer on the Rotating Game Modes team. He picks a new main every few months, and is currently main-less. Send suggestions. RiotVitzkrieg is a Tech Artist turned Art Lead, but what the internet really cares about are his two Corgis. When he's not playing games he's probably sleeping... or working.